If you thought combination gas boilers were only suitable for smaller homes, then think again. Alister Maclachlan, product director of Vokèra by Riello, explains how the latest high output appliances can meet the higher demand for heating and hot water in larger properties as well as those homes with multiple outlets. When choosing a combi gas boiler that best fits the needs of a property and its occupants it’s not all about the size of the dwelling. For example, an older, four-bedroom house with one main bathroom and just two occupants may not use as much hot water as, say, a family living in a modern semi-detached that has an en-suite, family bathroom and downstairs cloakroom. The bedroom-bathroom ratio has certainly increased in recent years, particularly among new homes. Once seen as something of a luxury in bigger properties, the en-suite bathroom can now be a standard feature in an average-sized new build. It is quite common in the UK for domestic hot water to be produced ‘instantaneously’ in a combination boiler. Water is heated on demand as an alternative to using a lower powered boiler that heats domestic hot water over a period of time in a separate thermostatically controlled insulated storage cylinder. 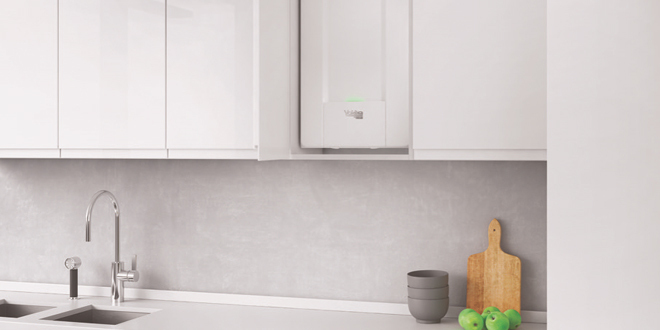 As combi boilers don’t require external hot water cylinders or water storage tanks they offer savings in space and installation time, which brings advantages for users and installers alike. And because hot water is only produced when it is needed, having a combi also helps conserve water in the home in accordance with Building Regulations relating to water efficiency. With all these benefits it’s not surprising that this option now represents around 80% of the UK’s domestic boiler market. A combi boiler is designed to provide hot water ‘on tap’ so to speak. When this innovative alternative to the traditional gas boiler first came onto the market around 30 years ago there was a common assumption that the typical output and flow rate of this type of appliance were best suited to smaller homes. This came about, in part, because traditional boilers tended to be sized in accordance with the number of radiators and capacity of the hot water cylinder. So when a homeowner decided to replace their old boiler with a new combi the installer would most likely fit one with the same output, when in fact a higher output was needed to achieve the desired flow rate. Of course, there wasn’t such a wide choice of outputs available in those early days. This is no longer a problem as most of today’s manufacturers offer high output combination boilers. Vokèra’s evolve 42C, for example, is a 42kW combi with flow rates of over 17 litres per minute at a 35°C temperature rise. It has been specifically developed to provide comfortable, affordable heating and on-demand hot water in larger homes. It can also provide an energy efficient solution for properties with larger central heating requirements and multiple bathrooms. As already mentioned, specifying the right combi boiler is not simply down to the actual size of a property. 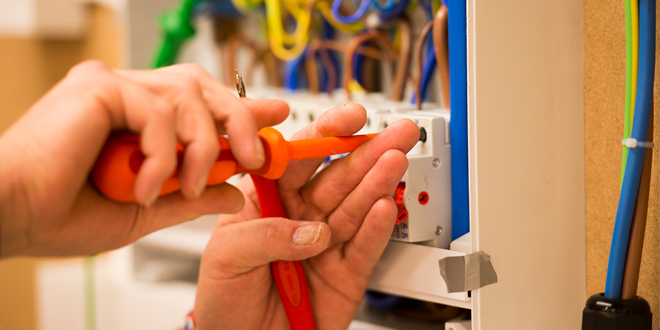 More importantly are the number of outlets and the occupants’ expectations when it comes to their heating and hot water supply. In order to understand the latter the installer would be well advised to ask the customer a few lifestyle questions, such as do they prefer baths or showers – or maybe both? And are they likely to want to run two showers simultaneously, or a bath and a shower at the same time? Their answers will indicate the output and flow rates required, enabling the installer to size the boiler accordingly. Another important factor is the likely inlet temperature. This can vary by several degrees across the UK, from the typically colder north to the warmer south, and that difference needs to be taken into consideration when specifying the boiler. When selecting a combi boiler it is also crucial to consider modulation ratios and to remember that performance isn’t just about kW output. Installing a combi boiler with a high maximum output and a wide modulation ratio will deliver optimal efficiency and comfort. A good modulation ratio reduces constant on/off cycling, improving efficiency and boiler longevity. If a boiler has a high maximum output – let’s say 40kW – yet only has a modulation ratio of 4:1 it will only be able to modulate down to 10kW. However, when most rooms have reached the required temperature and radiator TRVs have closed, the demand on the boiler will be considerably less than 10kW. This means that the minimum output of the boiler will be higher than it needs to be, so the boiler will constantly switch on and off, leading to fuel inefficiency. This will also place unnecessary stress on the boiler’s components and parts. A boiler with a high maximum output and a wide modulation ratio, however, will be able to modulate down to an extremely low output, reducing wear and tear on primary components (fewer on/off cycles increase component longevity) and optimising fuel efficiency. Also, a poor modulation ratio can be a particular problem for combis as it means they will be unable to maintain a stable domestic hot water (DHW) flow temperature at a low flow rate, and might even cause the burner to switch off during operation. This can be a significant issue for end users who prefer showers rather than baths. It is also an important consideration for households that require a constant DHW outlet temperature, such as where there are young children or elderly people who may be at a higher risk of scalding. The combination gas boiler has certainly come a long way in the last couple of decades and new high efficiency, high output models have busted those outdated myths about poor flow rates. Correctly specified and installed, a modern combi will meet the needs of even the most demanding household in virtually any size property.